Join us in celebrating our 31st anniversary all month long! We will be having store-wide sale with up to 20% off* on in store merchandise and other special treats. Don't forget to join us between November 9-14 to help celebrate the 25th Anniversary of East Towne Square Mall. 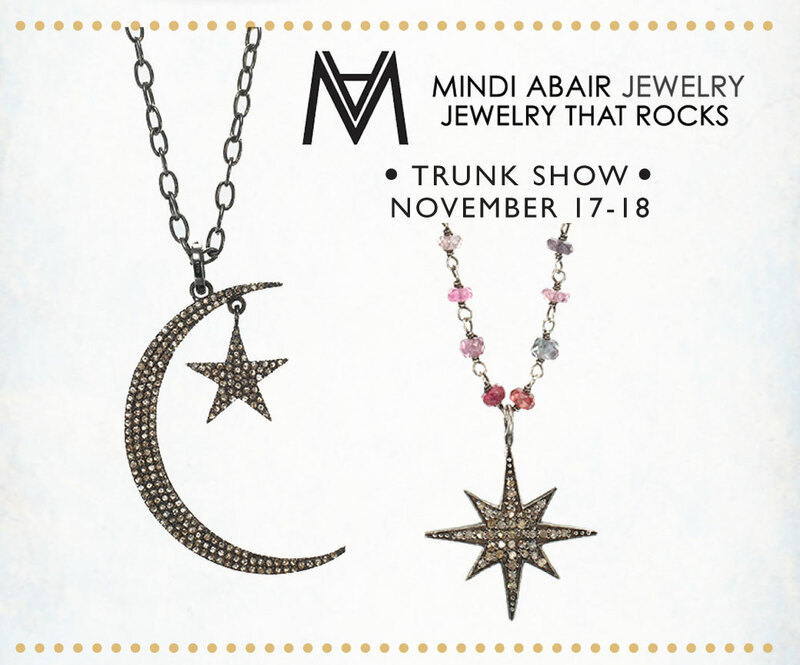 Finally, we'll host Carrie Smith Dawes of Mindi Abair Designs, Jewelry that Rocks, with a very special trunk show on November 17-18. *Some exclusions apply, including Todd Reed and Pandora. Jewelry Makes a Great Valentine’s Day Gift! Join our email list to learn about upcoming events, sales, and great jewelry and fashion tips. No part of this website can be re-produced without prior written agreement.